Just like peanut butter and chocolate, or ketchup and french fries, messes and kids just go hand in hand. I always died a little inside finding new stains on my rugs, pillows, or carpets. I recently was introduced to TriNova Stain Guard and it will be a product I always keep in my mama tool belt. 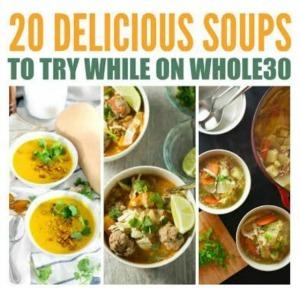 I have already let some friends try it because it has been such a life saver in just a few short weeks. 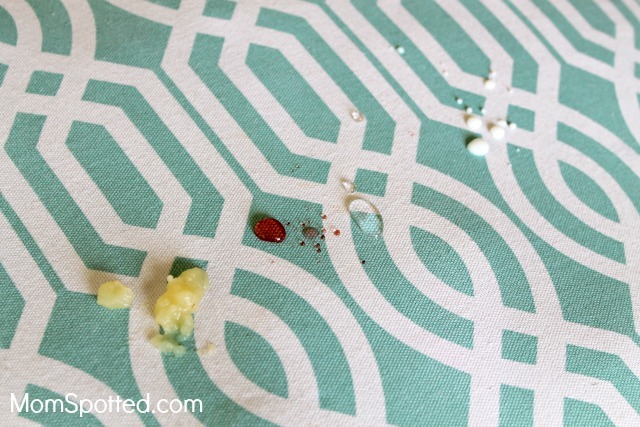 I don’t worry anymore about finding any random unsightly stains on my couch pillows or rug. TriNova Stain Guard is the best at protecting stains before they even start! TriNova Stain Guard is a premium fabric protection. It is a non-flammable, and odorless formula to repel liquid stains. It is also a totally a safe water-based to help prevent stains from all your favorite fabrics. I quickly treated as many fabrics that I could think of around my home. I treated all my couch pillows, the rug in my living room, and the carpet below my mirror where I get ready every day. To use TriNova Stain Guard all you do is spray on the product in a well-ventilated area and let it dry for 24 hours. I only did one treatment on my fabric surfaces then opened up all my windows as my carpets dried and I sprayed the pillows outside. There was little to no smell and everything dried super quickly. That weekend we were having a “picnic” in my living room as a family while watching a new movie. My daughter accidentally spilled her chocolate milk all over my favorite blue pillow. Slightly dying inside I jumped up to grab a towel to clean up the mess. I was shocked to see all the chocolate milk beaded on top of the pillow! Most of it had run off onto the floor and was easily mopped up. I dried up the little beads of milk and the pillow was perfect. I was shocked. I didn’t need to scrub, or anything. There wasn’t any dark spot from the chocolate, nothing. Ever since then I have been a huge believer in TriNova Stain Guard. My kids have had a few little accidents since then. Spilling just water, walking in the house with wet dirty shoes, and other little kid messes. TriNova Stain Guard is like magic in a bottle. It leaves all the spills and messes sitting on the surface long enough for me to blot it up. I am so happy to say goodbye to stubborn stains. Since TriNova Stain Guard is such a safe water based formula I also found some of my favorite shoes to spray it on. I have loved watching little water beads just roll off them. We have had a really wet Spring and now I don’t have to worry about staining my shoes. Water just beads up on top of my shoes and rolls off like magic. To extra prove my point at how awesome TriNova Stain Guard is I purposely spilled water, milk, applesauce, and a cherry kool aid on my pillow. All the liquids just bead up and I wipe them up leaving no stains behind! It is honestly magic. 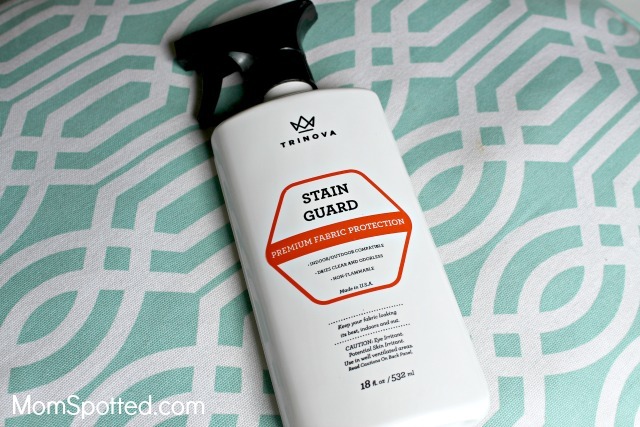 I love TriNova Stain Guard and it keeps impressing me with its power to repel stains! Everyone needs to keep this in their closet. Especially if you are a parent or a pet owner. I love that it does such a great job at protecting against stains but is easy to apply, non-flammable, and totally safe to use around the house. 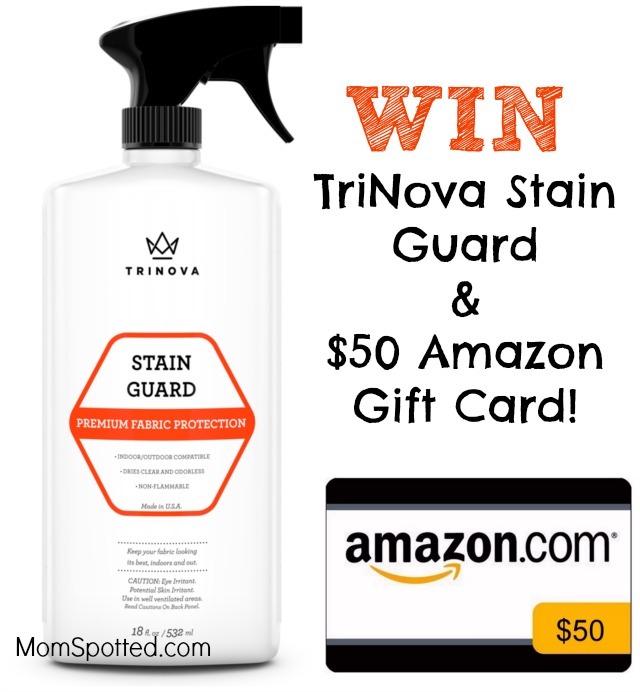 Right now (1) Mom Spotted reader has the opportunity to win (1) bottle of TriNova Stain Guard and a $50 Amazon Gift Card! Contest ends 6.12.17 at 11:59 pm. For Official Giveaway Rules click here. U.S. Residents only. I would use it on my stools in the kitchen. I would use this on my couch and pillows. I would use it on our furniture. I would use TriNova Stain Guard on my sofa and chairs. I would use it on my couch pillows because when i drink my coffee i miss my mouth to much. My laptop is on my coffee table so i am always drinking my coffee right on my couch. I will use it on my couch. I would use this product on my couch. It would really help it! This would be a great item for the furniture. I would use Stain Guard on my shoes and handbags! I’d use it on my couch! I would use it on my throw rugs. I would use it to clean couch. Hey this stuff looks magical! 😀 I’d use it on my rugs. I would love to try this product oon the couch. The dog no matter how many times he is tld will get up and sleep when we are gone. I would use TriNova Stain Guard on our sofa and chairs. I would use this on our family room furniture. I’d use this on the living room furniture and would love to try it on a few pairs of shoes. Id use it on my couch. I would use it on couches, our dining room chairs and anywhere I can! This is great protection! I’d probably use it on my carpet or couch! I would use TriNova Stain Guard to protect our carpets from doggie accidents. Oh wow yes I would use this on my shoes because all it takes is one mis-step to ruin a cute pair of sneakers! I’d use it on some shoes and on my sofa. I’d spray it all over the dog bed! I have a really nice pair of boots Trinova would work well on. I would use it on the couch and chairs in the living room where everyone congregates. I would use this on stains my grandsons make on our sofa! I would use it on the spots on our couch! They could definitely use it. I would spray it on the new recliner hubby is getting for Father’s Day. My wife has several pairs of shoes that she would like stain guarded. I would use this on our recliner. I would use it on my sofa and pillows. We can’t afford to replace the sofa so it would be wonderful for it to look like new again! I would use it on my couch and rugs. I would use TriNova Stain Guard on our couch. Would take care of those accidents. I would use it on my couch and chair in the living room. It would be perfect on my outdoor patio furniture! I would use this on my kitchen chairs. I would use the spray on the couch and my two recliners. I would use it on my furniture to protect it from pets and kids…and husband. I would love to use this on my couch and reclining chair. I would try this one our couch and recliner, I even want to try it on my fabric car seats. I would use this on our couch and all of our canvas shoes! I would use it on my little ones little chair she is always getting juice on it! I would spruce up the chair pads in my kitchen with this. Definitely on my couch as I eat on the couch regularly and stain it sometimes. I would use it on my living room furniture. I would use Trinova on my living room couch! I would use TriNova Stain Guard on the living room furniture. I would use it on my sofa. I’d use it on our throw rug and decorative pillows. I would use it on our carpet for sure, and probably on some of the living room furniture. I love the idea of using it on throw pillows and shoes! Those are problem areas for us, too! Besides my carpet I would use it on my purse. I would love to use this on our kitchen chair cushions! Always seem to get lots of spills on them! This sounds like an amazing product! I can’t wait to try it on so many things! I would use it on my couch, throw rugs, shoes, my white bedding, the kids shoes and so much more! This seems and looks like such an awesome product. I would use this on my carpet and on the rug in the living room. I have animals so this would be put to great use! 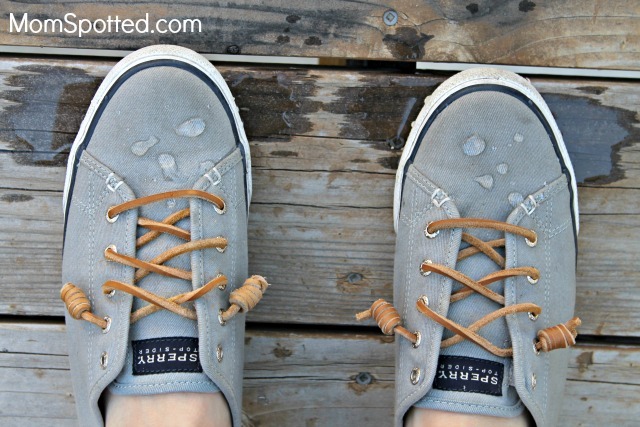 I would use on my GoWalk sneakers and on my household items like you did – amazing how the chocolate milk beaded up! I would use it on our couch! I would use it on my couch! I could really use this product on the seats of my dining room chairs. They are a cream color and it’s terrible trying to protect them from food stains. I am planning on getting a new couch and I would definitely use it on that! Also,my kids shoes.Can I just use it on everything? Lol. I would apply it to my new living room furniture. I would use it on the Cloth seats of my kitchen chairs. I would love to put this on the chairs in m entryway. I would love to use it on the fabric on my dining room chairs. I would use it on my sofa and my love seat! I think I’d use it on all my son’s clothes! lol! We would use it for our family room couch. I would like to use trinova on pillow cases and bedspreads and curtains. Most of our stains comes from cat throw up, yuck! I would use this on my couch and also my cars seats. I’d probably use it on anything I could!! I would use this to protect my couches in the living room. Today I reupholstered the chair seats of my patio set with a beautiful fabric that has a white background. Before anyone can use them I started researching the best stain guards and this product looks to be the best. Only needs one application, the smell won’t make you woozy and it’s non flammable. Also happens to be made in my state. Will buy even if I don’t win !! I could use it on my love seat. It gets so messy! I love my couch because it’s leather. Much easier to clean than microfiber. Would use it on our furniture. I would use this product on various pieces of furniture throughout my home. Having kids in the home I would say everywhere! I find myself always cleaning up stains. 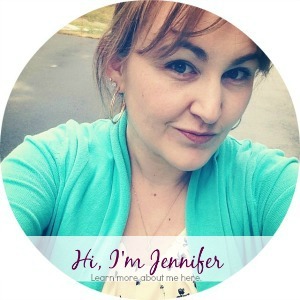 My kids are constantly making messes so I would use it everywhere I could, the couch, my kids’ sofa chairs, etc. I would use it on our couch in the living room. I’d use it on the patio furniture cushions. I would use this for my cats’ bed covers- both are elderly cats, age 11. I’d appreciate having this safe cleaner. How would you use TriNova Stain Guard on in your home? im a coffee spiller…i can use it baby! I would try it on the couch, shoes and some clothing. I would use it on my folding chairs. I feel like they get beat up on! I would love to use TriNova Stain Guard on our new couch and throw pillows being delivered this week. Definitely use it on my couch. We have five animals and this would be extremely helpful. I would use this on my area rugs and couch and chair. Not only on furniture but I love your idea with the canvas shoes. I have my twin daughters who are always trying to clean them t trying to clean their shoes, this they would love. I would use it on my tablecloths and bar stools. I would use it on my white canvas tennies. I would use it on my rugs and shoes – those seem to be my dogs two favorite places to throw up. UGH. Would be great for my couch. I have sneaky girls. Even tho they know they are not to take food and drinks in the living room they do. Occasionally I find evidence on my sofa! I would use this to get up their sneaky messes. The couch, bed, and carpet definitely needs it!! I would like to try it on our furniture. I would use it on outdoor furniture cushions. I would use it on my seats in the car. I would use it everywhere! Shoes, pillows, furniture, maybe even my rug! i would use this everywhere, we have a new couch that it would go on first. then whatever else i can think of. I would use it for my couches and pillows. With having kids, this would be wonderful. I would use on the living room furniture to protect it from my 2 year old granddaughter. I would use this to protect my sofa and chairs. use it on my couch. I would use it on are car-we are leasing it and it has light colored cloth seats. I know i could use it on my furniture and carpet just got a 5 month old puppy and we are still potty training so lots of “pee” stains that we always trying to get up from our Mollie ! I’d use it on my car seats, couch and some of my tops. I would love to use this on the couch. I would use this on my carpets, because my dog likes to use the bathroom on them. I hope that it would make the stain and the smell go away. I will use it on my fabric couch, and throw pillows, and place mats. I would use it on my carpets and the couches. I intend to use the TriNova’s Stain Guard on chairs and couch as its known to put a protective layer on such fabrics. I would use it on my sofa and furniture. Maybe the bedspread too. Dogs beds. There’s all kinds of things it would be great for. I would use it on so many things.clothes,carpets,sofa etc.. This would be great to use on the cushions of my breakfast nook. My boyfriend is in avid gym enthusiast and he always comes home with shirts drenched with sweat. I can never quite get those stains all the way out. This would be an awesome product to try for sure! Thanks for the giveaway! I’d have my husband try this out on our boat interior. I would use it on my couch, chairs and the carpet in front of it that seems to be a magnet for my sons to spill everything on! I would use it on my couch because my dog stains my couch by eating bones on it. id use it on everything possible in my house and my shoes , rugs curtains you name it ! 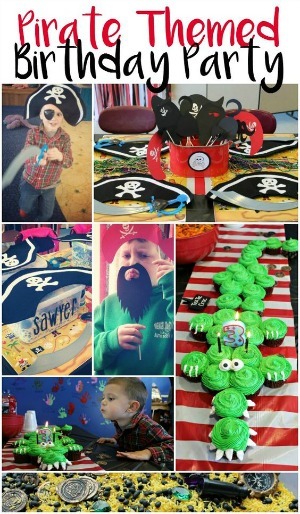 I have a three year old. 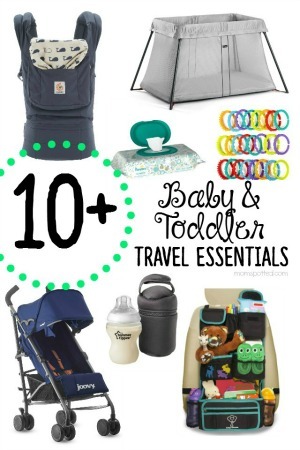 I would use it on his car seat…and everywhere else I could! I would use it on our couch and bedsheets and basically anything my 1 year old would touch. 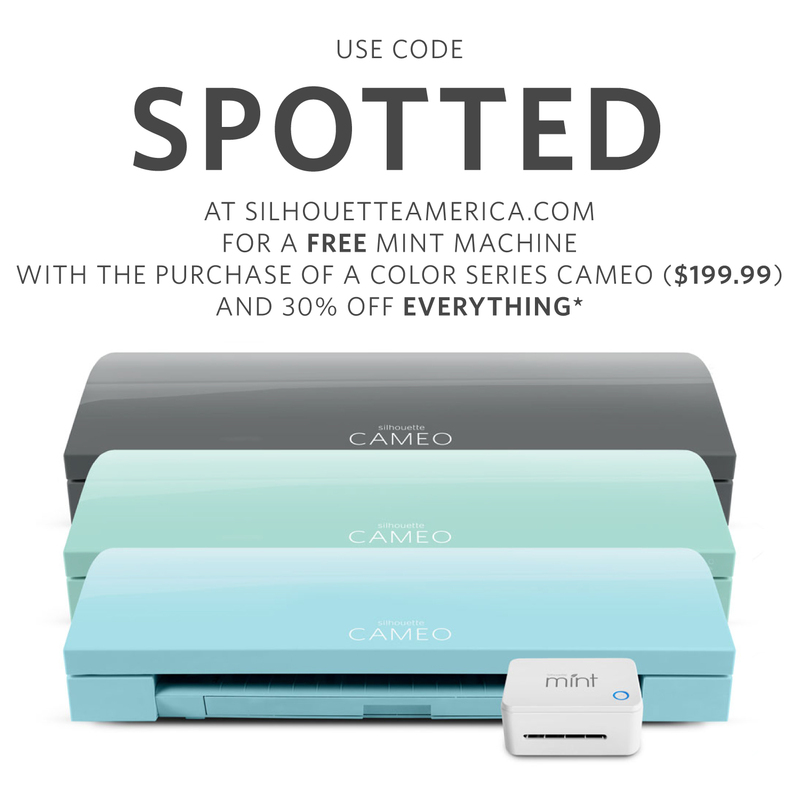 I’d use it on our couch – nieces and nephews and dogs, oh my! I would use this on my couch. It would help so much as we have 3 dogs who love sleeping on it. I would use TriNova Stain Guard on the sofa in our den. I would use TriNova Stain Guard on our shoes, rugs, and furniture. I would use it in my recliner chair. Having kids makes me need it on my couch. I would use it on the love seat as our dog loves to jump up on it and cuddle even if their paws are wet. I have a toddler and a 6 year old siberian husky. I will spray the product everywhere! Shoes, couch, carpet, and kitchen seats! I would use this to protect my couch and recliner chairs. I’d like to use this on my fabric shower curtain, the outer curtain! I’d use it on the kids shoes. I would use it on my couch. My three year old grandson will make sure I use it regularly. I would use it on my work boots. I have a rescue dog so this would come in handy for her. I also have a 7 year old daughter. Well my current couch is already stained and also shredded thanks to my cat, so when I buy a new one I’d use this to protect it from stains. Now all I need is something to protect it from the cats claws, LOL!! I would us the trinova stain guard on my car seat. Husband works an hour away and he is always in his car and accidents happen. I would use it on the living room & dining room furniture. Some of the shoes could use it too. On my couch for sure! I would use the Trinova Stain Guard on my tv room couch and loveseat. I would use it on my rug and on my cushions that aren’t washable. I would use it on my husbands “man chair”. I would use TriNova Stain Guard on my couches and on my canvas sneakers. I would want to use it on my couch. It needs some help. I would use it on my favorite reclining chair where my dog sits all day. I would use it on the rug or the couch for any cat stains. They are always leaving litter dust paw prints on the couch. I would use it for my couch. I would use it on my furniture. I would use it on the furniture and couch cushions. I would love to use it on my table cover! I would use it on my furniture! I’d use it on my boots. Maybe on outdoor cushions. I would use them on my shoes, boots and car seats. definitely on some of the furniture pieces! Thanks so much for the chances to win. I would use it on our bar stools and couches. I would use it on my couch and love seat. I would use it on my couch and my kitchen chairs. I would use it on our couch. I would be most interested in trying the TriNova Stain Guard out on my carpeting. We need it in front of our full length mirror. Somehow I always manage to get makeup on the carpet! i would use it on my couch since my kids have gotten soo many stains i can’t remove. I would use it on the carpet! We would use TriNova Stain Guard on a couch & love seat in our family room where the kids play & watch TV ! I would use it on our tv room sofa. It needs some stain removal. I have three bulldogs. I would use this on my furniture.